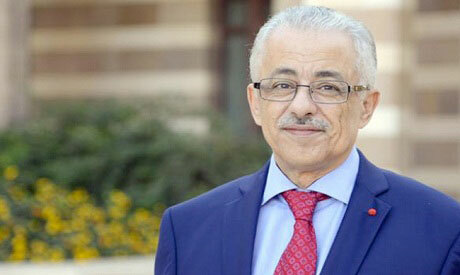 Egypt's Minister of Education Tarek Shawky said on Saturday that doing away with the country’s decades-old Thanaweya Amma (high school) system is inevitable, Al-Ahram Arabic news website reported. The minister said during a speech at the EduVation summit at the privately owned Nile University that the 2018 academic year will see an overhaul of the current educational system, which focuses on tests and memorisation. EduVation is a platform that aims to raise awareness of using technology in developing education, targeting students, school directors, teachers, entrepreneurs, international developmental partners, corporate social responsibility representatives, and the government. Shawky also addressed a number issues facing education in Egypt, including the need for training for teachers as well as using certain technologies in education. The minister also said that there are plans to further utilise the Egyptian Bank of Knowledge, which involves agreements with Germen publishers to add to the content of the bank. This year, the new system was integrated with the curricula of the first and second years of high school. The Egyptian Bank of Knowledge, established in January 2016, is an online library that holds quality research and educational resources, such as books, periodicals and media content. Shawky also said that the 2 million students starting school next year will necessitate the hiring of more teachers. The EduVation summit involves both the private and public sectors in the field of education and technology. The 2017 summit is focusing on discussing educational problems through workshops, with over 80 speakers. Around 22 million students are currently enrolled at Egyptian public schools for the new academic year, while over 1 million are enrolled at private schools.